On March 16, 2019, a fierce flood hit Sentani in Jayapura County, Papua, Indonesia. According to Mr Sutopo Purwo Nugroho, Head of the Information and Public Relations Center of the Indonesian National Disaster Management Agency (BNPB), The Sentani floods caused casualties and many families have been displaced by the disaster. 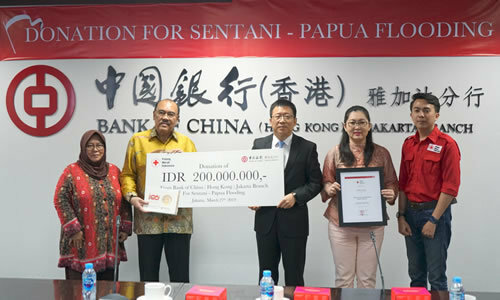 On March 27, 2019, Bank of China Jakarta Branch held a donation ceremony to the flood-stricken area in Papua, Indonesia at Wisma Tamara Center in Jakarta, Indonesia. Zhang Chaoyang, the Country Manager of the Bank of China Jakarta Branch, handed over the donation of 200 million rupiah to Mr Ritola Tasmaya, MD, MPH Secretary General of The Indonesian Red Cross Society, which will be transfered to the disaster area . "We are deeply saddened by the damage caused to the people affected by the disaster. We hope to use this donation to help alleviate the disasters experienced by the people in the disaster area." Mr. Zhang Chaoyang, the country manager of Bank of China Jakarta Branch, said at the donation ceremony. Indonesian Red Cross Society representative Ritola Tasmaya, MD, MPH Secretary-General is very grateful to Bank of China Jakarta Branch for its donation to Papua, saying that the Indonesian Red Cross Society will transfer the donation to the victims in the disaster area. This is another contribution from Bank of China Jakarta Branch following the donation to the earthquake-stricken area in Lombok, Indonesia, the earthquake-stricken area in Central Sulawesi, and the tsunami disaster area in Banten. 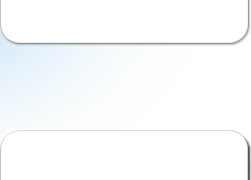 Since its establishment in Indonesia in 1938, In order to promote the positive energy of society, promote people's harmonious coexistence, and establish a strong friendship between the Indonesian and Chinese people, adhering to the tenet of “rooting in, serving the world”, Bank of China has been enthusiastic about social welfare activities and has been responsible for social responsibility. The positive role has also won praise from the local community.